Ah! The game! Isn’t so fun?! Sometimes it is fun tho… sometimes is fun to see how a guy acts all nervous around you and how he tries to figure you out. I mean who doesn’t like that attention! I know, I know… all guys are all different! It also depends what is his love language… it all changes when he is loving you in a language you do not know… that’s when it gets complicated. Oh guys! They get super cute when they try to impress you. It can be anything from a hobby, his knowledge, his job, or even his looks. He will make sure you know he is the best at that thing! You just know! When they try to see your face for even a few minutes… they can do all kinds of things to make it happen… they can get SUPER creative!!! Guys are not an exception! Guys will check the room to see where you are… they might not come close to you all the time but they know where you are… if the guy is super comfortable showing his feelings… he might even smile at you when you catch him looking at you. That makes it extra sweet… if you ask me! Guys usually are the selfish kind… they will talk and talk and talk some more bout their own likes and dislikes… that’s pretty much how it is… but when a guy WANTS to hear about you… it’s a REALLY GOOD SIGN!!! If he is studying you, he is asking questions… if he is studying you, you are important to him. 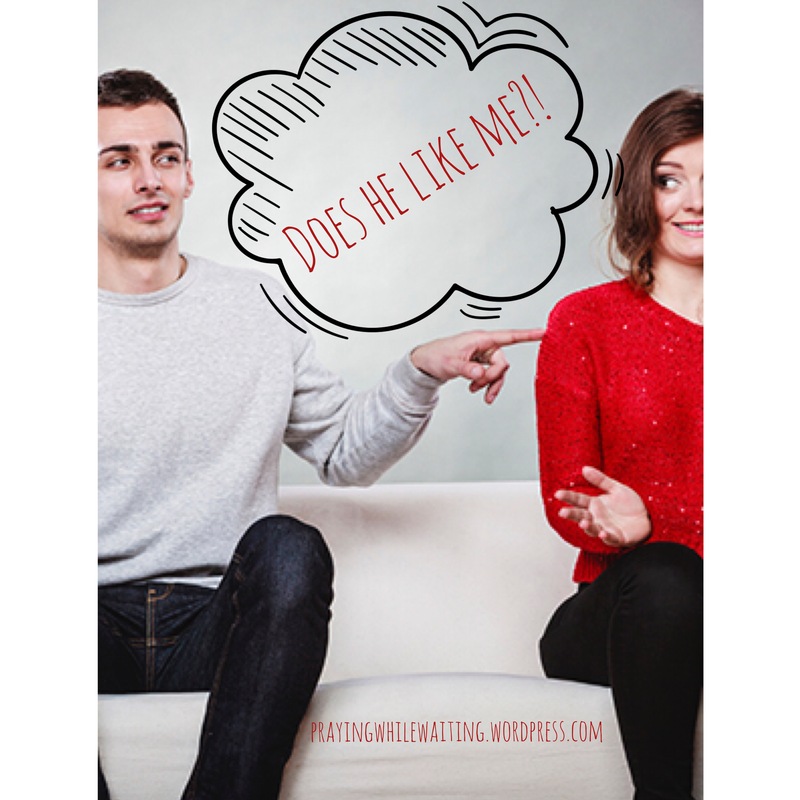 If he is super sweet and fun on the phone with you or when you are alone and super awkward almost as if he is embarrassed to be seen with you in front of others… that’s not so good! Girl, he is not worth your time… next guy! I know, it’s so dumb! But if a guy is just looking, thinking about liking you or kinda confused, he will act as if he is NOT following in social media… but of course he knows your every move… if the guy is BANANAS for you he will either like everything you post or for sure like your selfies… and the even more brave ones will comment on them! This is the whole thing with marking territory… like peeing all over your social media! I know… gross! Ladies, this is just from what I have seen… there are guys out there that do not fit the “normal”… so don’t judge them to harsh… I just thought I would put together something for you to keep as a reference… this is what I use! Previous Don’t expect ANYTHING to happen!